For episode 73, the Insane Mercenary, Daph J, gets nostalgic and revisits her youth. She had a desire to read some comics, so naturally Batman had to be a part of it. 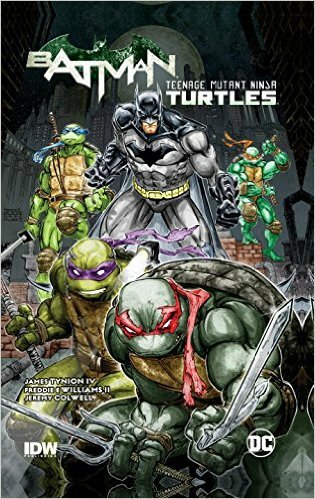 But the thought of the Caped Crusader teaming up with a rat and four lovable heroes in half shell piqued her interest so much she had to check out the DC/IDW crossover event. You like after school cartoons from the 90’s? Well what are you waiting for then? !